This paper presents that an Inertial Mass Gravitation Vortex, is described by two Gravitational Attraction Forces, known as the Self Gravitational Field Force (Self Gravity) and the Newtonian Gravitational Field Force. These two attraction forces exist for every gravitational attraction and interaction between masses in an isolated and conserved inertial mass gravitational field vortex system. The Newtonian Gravitational Field Force is responsible for the specific individual gravitational attraction between an orbiting mass and the conserved inertial mass vortex system. The Self Gravitational Field Force is responsible for the total curvature and total gravitational attraction of the conserved inertial mass vortex system. This model predicts that the Newtonian Gravitational Field Force is a limiting force, when compared to the Self Gravitational Field Force (Self Gravity), of the total gravitational attraction of a conserved inertial mass vortex system. Additionally this paper presents that the Kepler “Evolutionary Attraction Rate” of the gradient gravity field is not infinitely small but has a finite curvature described by the Schwarzschild radius of the gravity vortex. In this Gravitational Vortex Model, it is necessary to model gravity, because it is gravity that binds us to the earth, that binds the earth, and other planets to the solar system. In general, it is the “Gravitational Force” that is responsible for why all things fall down on planet earth, it is responsible for the formation of galaxies, the evolution of stars, and what keeps the bones in our bodies firm and rigid. In this work, it will be demonstrated conceptually and mathematically that the “Potential Energy” is associated with the work done by a “central conservative force”, namely the “Gravitational Force.” Various other types of “central conservative forces” include: the Elastic Spring Force, the Electrostatics Force, and the Magnetostatics Force. All “central conservative forces” can be generalized to model a system, such that there exists an associated “Potential Energy” function, where the work done by the “Central Force”, equals a decrease in the “Potential Energy” of the system. In the case of the “Gradient Gravitational Field Force”, work is done by the force of gravity, decreasing the “Potential Energy” of any mass object, located anywhere within the gradient field; and where the strength of “Gradient Gravitational Field Force”, and the “Potential Energy” decreases, with increasing distance from the center of the field. If the only “central conservative force” acting on an isolated “Net Inertial Mass” system body is the “Gravitational Force”, then it is the force of gravity that is doing work; and according to the conservation of energy, that work is also equal to the increase in the “Kinetic Energy” of the Net Inertial Mass system body. The work done by a “central conservative force” with proper mathematical formalism is denoted with a negative value; and because of conservation when the potential energy increases, the kinetic energy decreases by an equal amount; and vice versa. Therefore, the “Total Mechanical Energy” is conserved, being the sum of the “Kinetic Energy” and the “Potential Energy” which when summed together mathematically remains a constant value. The “Total Mechanical Energy” of an isolated system is conserved, because any decrease in the potential energy is balanced by an increase in the Kinetic Energy; and vice versa; as described by the equation below. Any and every conserved and isolated “Net Inertial Mass” system body, can be modeled as a “vortex” body that is spheroid in nature, and is described by a gradient field, comprised of an infinite amount of “spherical shell potentials” relative to the center of the system. The gradient gravity field is described by concentric spherical volumetric potential shells of “Gravitational Potential Energy” and a conservative “Central Gravitational Force” at each potential. For a general gradient gravitational field, the conservative Gravitational Potential Energy ( ) of each concentric spherical shell potential, is associated with the Inertial Mass Gravitational Force ( ), where the source of gradient gravity field is the Net Inertial Mass ( ). In this “Gravitational Vortex” model, at the origin of every “Net Inertial Mass Gradient Gravity Field’ there is a “Schwarzschild Radius Black Hole Event Horizon.” The most minimum spatial distance of the gradient gravitational field is the Schwarzschild Radius ( ) Black Hole Event Horizon. The Inertial Mass Gravitational Force ( ) is a measure of the force of attraction and interaction, of “mass towards mass”, and is a conservative central force, exerted by the Net Inertial Mass ( ) on any other “test” mass ( ) body, of the “collective” net mass system body; which includes its “Self” attraction and interaction force. The strength of the Inertial Mass Gravitational Force ( ) varies inversely with the square of the Semi-Major radius ( ) distance, relative to the center of the Gradient Gravitational Field. Also, the Inertial Mass Gravitational Force ( ) is a conservative central force that comes in two forms, the “Newtonian” Gravitational Force ( ), and the “Self” Gravitational Force ( ). The Inertial Mass Gravitational Force ( ) which is described mathematically below, is an “inflow” radial vector, given by the following equations. The strength of the “Newtonian” Gravitational Force ( ) is a measure of the force of attraction and interaction of “mass towards mass”, and varies in direct proportion to the product of the Net Inertial Mass ( ) multiplied by the orbiting “test” mass ( ), and varies inversely with the square of the Semi-Major radius ( ) distance, relative to the center of the Gradient Gravitational Field. The strength of the “Self” Gravitational Force ( ) is a measure of the force of attraction and interaction of “mass towards mass”, and varies directly with the square of the Linear Mass Density ( ); and likewise varies in direct proportion to the square of the Net Inertial Mass ( ), and varies inversely with the square of the Semi-Major radius ( ) distance, relative to the center of the Gradient Gravitational Field. The Inertial Mass Gradient Gravitational Field Acceleration ( ) describes the acceleration of mass and energy, towards the center of the gradient gravity field, and towards ever decreasing and smaller volumes of spherical gradient shell potentials. The Inertial Mass Gradient Gravitational Field Acceleration ( ) varies in each spherical volume potential of the gravity field, such that the larger the volume potential, the slower the acceleration towards the center of the gradient gravity field; and the smaller the volume potential, the faster the acceleration towards the center of the gradient gravity field. The Inertial Mass Gradient Gravitational Field Acceleration ( ) is defined as the ratio of the Inertial Mass Gravitational Force ( ) divided by the Mass ( ) of the system; and likewise the Gravitational Field Acceleration ( ) diminishes as the square of the Semi-Major radius ( ) distance from the center of the Gradient Gravitational Field increases. The motion of the Gradient Gravitational Field ( ) Acceleration is a measure of the acceleration of the attraction and interaction of “mass towards mass”, and varies directly proportional to the Net Inertial ( ) Mass, and varies inversely with the square of the Semi-Major radius ( ) distance, relative to the center of the Gradient Gravitational Field. The Black Hole Event Horizon – Gradient Gravitational Field ( ) Acceleration can be thought of as the measure of the amount of curvature, and the measure of the acceleration that any observer standing at the surface of the “Black Hole Event Horizon”, would feel being pulled towards the center of the black hole. The Black Hole Event Horizon – Gradient Gravitational Field ( ) Acceleration is the “Quantized” and maximum amount of acceleration of a gradient gravitational field system, where the measure of the “Black Hole Acceleration” is inversly proportional to the Net Inertial Mass ( ) of the system. Such that the larger the Net Inertial Mass ( ) of the gradient gravitational field the slower the Black Hole Acceleration ( ), rate relative to the “Black Hole Event Horizon – Potential” and towards the center of the gradient field. Likewise, such that the smaller the Net Inertial Mass ( ) of the gradient gravitational field the faster the Black Hole Acceleration ( ), rate relative to the “Black Hole Event Horizon – Potential” and towards the center of the gradient field. The Black Hole Event Horizon – Gradient Gravitational Field ( ) Acceleration can also be thought of as the measure of the “Quantized” amount warping, or curvature, in the form of the acceleration of a “Spherical” disturbance, in the “Vacuum of Space-time” and in the local vicinity, of the Net Inertial Mass; the source of the gradient gravitational field system body. The motion of the Black Hole Event Horizon – Gradient Gravitational Field ( ) Acceleration is equal to the measure of the acceleration of the attraction and interaction of “mass towards mass”, at the “Black Hole Potential”, and is idependent of the “distance” or “radius” of the “Black Hole” and is dependent, and varies inversely proportional to the Net Inertial ( ) Mass, of the Gradient Gravitational Field, system body. For example: Electrons have faster or larger Black Hole Acceleration ( ) towards their Black Hole centers than do Protons, Plantets and Suns. Protons have faster or larger Black Hole Acceleration ( ) towards their Black Hole centers than do Neutrons. And the Earth, has a faster or larger Black Hole Acceleration ( ), towards its Black Hole center, than the Sun does. Furthermore the Sun, has a faster or larger Black Hole Acceleration ( ), towards its Black Hole center, than the Galaxy does. This means that, an object with the right amount of force and acceleration, that being larger than the Black Hole event Horizon acceleration, should be able to escape the death grips of the Black Hole! For a general gradient gravitational field, the conservative Gravitational Potential Energy ( ) of each concentric spherical shell potential, is associated with the Inertial Mass Gravitational Force ( ), where the source of gradient gravity field is the Net Inertial Mass ( ), and manifests, when a “Gravity Force” acts upon a “mass” object within the gradient field, that tends to move it to a lower energy location within the field. The Gravitational Potential Energy ( ) is a measure of the “work energy”, of the relative spatial separation, of the attraction and interaction of “mass towards mass”. The Gravitational Potential Energy ( ) is the work done in the gravity field, by the Net Inertial Mass ( ) of the system body, moving “mass towards mass” from infinite places in the universe! The change in the Gravitational Potential Energy ( ) is the measure of the work done by the Inertial Mass Gravitational Force ( ) of a general gradient gravitational field; and the work done by the force, is integrated over changes in the Semi-Major radius distance ( ), relative to the center of the gradient gravity field. The Gravitational Potential Energy ( ) can be described physically as the energy associated with each “surface potential” of the infinite concentric “thin” spherical shells, that make up the gradient gravity field, and is the potential energy difference between the energy of a “mass” object in a given gradient field position, and its energy at some other reference position within the field; given by the following equations. The energy content of the Gradient Gravitational Field “Newtonian” Potential Energy ( ) is a measure of the energy potential, of the relative spatial separation, of the attraction and interaction of “mass towards mass”, and varies in direct proportion to the product of the Net Inertial Mass ( ) multiplied by the test mass ( ), and varies inversely with the Semi-Major radius ( ) distance, relative to the center of the Gradient Gravitational Field. The energy content of the Gradient Gravitational Field “Self” Potential Energy ( ) is a measure of the energy potential, of the relative spatial separation, of the attraction and interaction of “mass towards mass”, and varies directly proportional to the square of the Net Inertial Mass ( ), and varies inversely with the linear, Semi-Major radius ( ) distance, relative to the center of the Gradient Gravitational Field. The Inertial Mass Gradient Gravitational Field “Inertia” Potential ( ) is a measure of the square of the orbiting/spin/rotation squared tangential velocity of each potential of the gradient gravity field; and describes the squared velocity “inertia” potential, of the relative spatial separation, of the attraction and interaction of “mass towards mass”; and towards the center of the gradient gravity field, and towards ever decreasing and smaller volumes, of spherical gradient shell potentials. The Inertial Mass Gradient Gravitational Field “Inertia” Potential ( ) varies in each spherical volume potential of the gravity field, such that the larger the volume potential, the slower the squared velocity “inertia” towards the center of the gradient gravity field; and the smaller the volume potential, the faster the squared velocity “inertia” towards the center of the gradient gravity field. The Inertial Mass Gradient Gravitational Field “Inertia” Potential ( ) is a measure of the inertia of motion in gravity field, and is defined as the ratio of the Gravitational Potential Energy ( ) divided by the Mass ( ) of the system; and likewise the Gravitational Field Potential ( ) diminishes as the linear Semi-Major radius ( ) distance from the center of the Gradient Gravitational Field increases. The inertia motion of the Gradient Gravitational Field “Inertia” Potential ( ) is a measure of the orbiting/spin/rotation squared velocity potential, of the relative spatial separation, of the attraction and interaction of “mass towards mass”, and varies in direct proportion to the Linear Mass Density ( ); and likewise varies in direct proportion to the Net Inertial Mass ( ), and varies inversely with the linear Semi-Major radius ( ) distance, relative to the center of the Gradient Gravitational Field. For a general gradient gravitational field, the conservative the “Self” Gravitational Potential Energy ( ), and the Inertial Mass “Self” Gravitational Force ( ) of each concentric spherical shell potential of the gradient gravity field, varies in direct proportion to the Net Inertial Linear Mass Density ( ) of the the gradient field, dependent only on the inverse distance from the center of the field. This model predicts that, while considering the Net Inertial Mass ( ) of the gradient gravity field constant, the Net Inertial Linear Mass Density ( ), of the field varies from place to place or location to location within the gravity field. The Net Inertial Linear Mass Density ( ), measures a “greater” or “condensed” linear density, the closer the Semi-Major Radius ( ) distance is to the “mean center” and Schwarzschild Radius ( ) Black Hole Event Horizon of the system. The Net Inertial Linear Mass Density ( ), measures a “smaller” or “rarer” linear density, the further away the Semi-Major Radius ( ) distance is from the “mean center” and the Schwarzschild Radius ( ) Black Hole Event Horizon of the gradient gravity field system. The Net Inertial Linear Mass Density ( ), is actually the result of the “Linear Mass Density” “potential” difference between the maximum “Black Hole” Net Inertial Linear Mass Density ( ) constant, at the core of the gradient field, and its Net Inertial Linear Mass Density ( ) at some other reference position within the field. The Net Inertial Linear Mass Density ( ), measures a “maximum” linear density, when the Semi-Major Radius ( ) distance is equal to the Schwarzschild Radius ( ) of the gradient gravity field system; and measures zero (0) when the Semi-Major Radius ( ) distance is equal to infinity, or an infinite distance away from the “mean center” of the gradient gravity field system body. The dense intensity of Net Inertial Linear Mass Density ( ) is a measure of the linear density of the gradient potentials of the gravity field, and varies in direct proportion to the ratio of the Net Inertial Mass ( ), and inversely with increases or decreases in the linear Semi-Major radius ( ) distance, relative to the center of the Gradient Gravitational Field. And likewise varies in direct proportion to the the Gravitational Field Potential ( ); and further varies in direct proportion to the square root of the “Self” Gravitational Force ( ) of each concentric spherical shell potential of the gradient gravity field. The “Maximum” Net Inertial Linear Mass Density ( ), measures a “maximum” linear density, when the Semi-Major Radius ( ) distance is equal to the Schwarzschild Radius ( ) Black Hole Event Horizon, and represents the “lowest potential” or the “smallest volume” of the gradient gravity field system mass body. In this Gravitational Vortex Model, the “Maximum” Net Inertial Linear Mass Density ( ), which is located in the “lowest potential” of the gradient field, is also known as the “Black Hole” Net Inertial Linear Mass Density; an it measures a “constant” value. The “Maximum” Net Inertial Linear Mass Density ( ), exists at the core center, of every Net Inertial Mass ( ), and is the core of every gradient gravitational field; and represents the: smallest volume, greatest Gravitational Force, largest Inertia Potential, greatest Potential Energy, largest Gravitational Acceleration, fastest Orbiting Velocity, and the shortest Orbital Period, of the gradient gravity field. In this “Gradient Vortex Gravitational Field” model, the “Black Hole” Net Inertial Linear Mass Density ( )” is a constant value, that is spatially located at the Black Hole Event Horizon” origin source, of the gravitational gradient field; and is the “vacuum energy” binding proportionality between “Matter/Mass” and the “Space” of the “Vacuum of Space-time”; and can be modeled as a “fabric continuum” or “vacuum energy” that permeates throughout the entire universe. There is no place in the cosmos of the universe that is void of vacuum energy. The “Black Hole” Net Inertial Linear Mass Density ( )” is a direct measure of the vacuum of space-time continuum, where the Net Inertial Mass – ( ) or “matter” of the gravitational field system body, is directly proportional to the “space” distance of the “source of the” gravity field; and where the minimum distance, and the lowest energy potential, is given by the Schwarzschild Radius ( ) Black Hole Event Horizon, of the gradient gravity field, described by the following relation, and equation. The “Black Hole” Net Inertial Linear Mass Density ( ) is a gravitational field parameter where the ratio of the Net Inertial Mass – ( ) divided by the Schwarzschild Radius ( ) Black Hole Event Horizon, is a constant of nature. In this “Gravitational Vortex” model, the “Black Hole” Net Inertial Linear Mass Density ( )” is a gravitational field parameter, such that at the location of the “Black Hole Event Horizon”, all the “central conservative forces” of the system become equal. 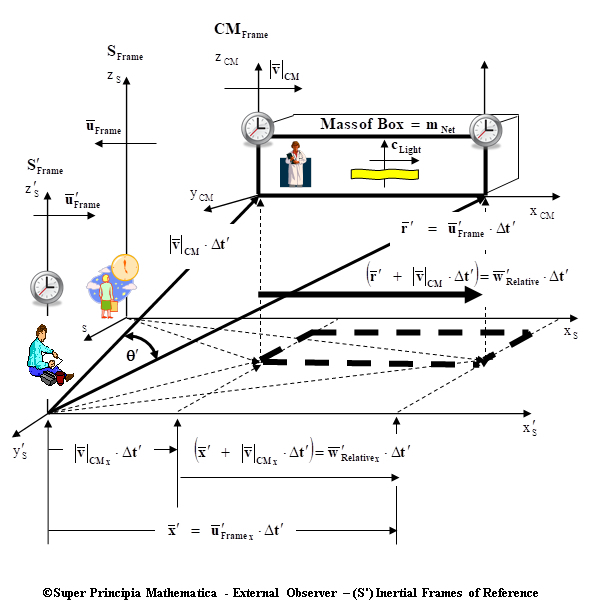 Where the Net Inertial Linear Mass Density ( ) – in the Proper Observer “center of mass” frame of reference, is given by the following. Where the Map/Patch/Manifold – “Geodesic Arc-Length” Net Inertial Linear Mass Density ( ) – in the Proper Observer “center of mass” frame of reference, is given by the following. 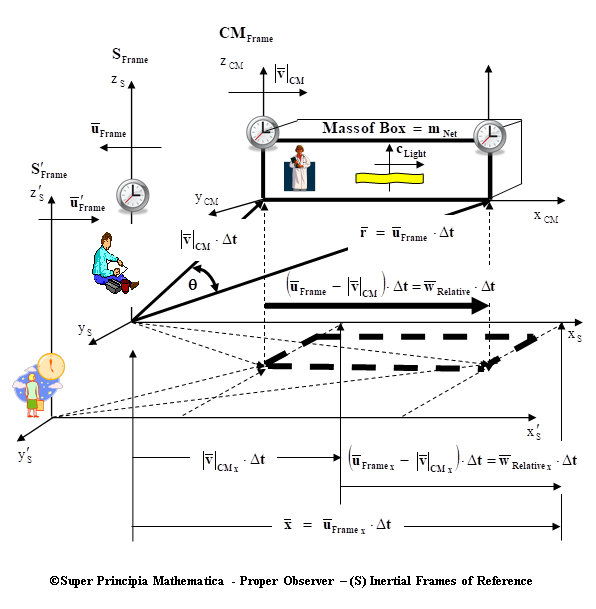 Where the Net Inertial Linear Mass Density ( ) – in the External Observer frame of reference, is given by the following. Where the Map/Patch/Manifold – “Geodesic Arc-Length” Net Inertial Linear Mass Density ( ) – in the External Observer frame of reference, is given by the following. The Inertial Mass Gradient Gravitational Field “Inertia” Potential ( ) is a gravitational field parameter that varies, in direct proportion to the Net Inertial Linear Mass Density ( ); and is described mathematically in terms of “Relativistic” frames of reference, observers, and their respective motions, below. Where the Gradient Gravitational Field “Inertia” Potential ( ) – in the Proper Observer “center of mass” frame of reference, is given by the following. Where the “Geodesic Arc-Length” Gradient Gravitational Field “Inertia” Potential ( ) – in the Proper Observer “center of mass” frame of reference, is given by the following. Where the Gradient Gravitational Field “Inertia” Potential ( ) – in the External Observer frame of reference, is given by the following. Where the Map/Patch/Manifold – “Geodesic Arc-Length” Gradient Gravitational Field “Inertia” Potential ( ) – in the External Observer frame of reference, is given by the following. For a general gradient gravitational field, the conservative “Self” Gravitational Potential Energy ( ) of each concentric spherical shell potential, is associated with the Inertial Mass “Self “Gravitational Force ( ), where the source of gradient gravity field is the Net Inertial Mass ( ). The Inertial Mass “Self” Gravitational Force ( ) is a gravitational field parameter that varies, in direct proportion to the square of the Net Inertial Linear Mass Density ( ); and is described mathematically in terms of “Relativistic” frames of reference, observers, and their respective motions, below. Where the Map/Patch/Manifold – “Geodesic Arc-Length” Inertial Mass “Self” Gravitational Force ( ) – in the Proper Observer “center of mass” frame of reference, is given by the following. Where the Map/Patch/Manifold – “Geodesic Arc-Length” Inertial Mass “Self” Gravitational Force ( ) – in the External Observer frame of reference, is given by the following. Only the “Proper Observer” center of mass frame of reference, “Elastic Wave”, Gravitational Field Acceleration – ( ) will be described below. Limiting, the discussion to the “Proper Observer” center of mass frame of reference is done for the main reason, that is the frame that the mechanics and mathematics, of the classical discussions of gravity, are most commonly discussed. Proper Observer – Gradient Gravitational Field Acceleration – ( ) – second order partial differential “Elastic Wave Equation” function of Radius of Sphere ( ) Space & Time Metric and in the “Proper Observer” frame of reference. Proper Observer – Gradient Gravitational Field Acceleration – ( ) – second order partial differential “Elastic Wave Equation” function of Map/Patch/Manifold – “Geodesic” ( ) “Equal Observer (Co-Variant)” Space & Time Metric and in the “Proper Observer” frame of reference. Proper Observer – Gradient Gravitational Field Acceleration – ( ) – second order partial differential “Elastic Wave Equation” function of Euclidean Radius of Sphere ( ) Space & Time Metric and in the “External Observer” frame of reference. Proper Observer – Gradient Gravitational Field Acceleration – ( ) – second order partial differential “Elastic Wave Equation” function of Map/Patch/Manifold – “Geodesic” ( Space & Time Metric and in the “External Observer” frame of reference. The above work completes a new theory of Gravity for the 21st Century; and produces a complete conceptual and mathematical model of matter, space, and time. The above work opens the door to discuss new concepts and mathematics of gravity, in consideration for Special Relativity and General Relativity; the Super Special Theory of Relativity. Only the “Proper Observer” center of mass frame of reference, “Elastic Wave”, Gravitational Field Acceleration – ( ) will be described below. Limiting, the discussion to the “Proper Observer” center of mass frame of reference is done for the main reason, that is the frame that the mechanics and mathematics, of the classical discusions of gravity, are most commonly discussed. From the above mathematics, it can be derived, the radius of the Euclidean Sphere in a gravitational field, relative to the source of gravity, which is the Black Hole Event Horizon Schwarzschild Radius ( ). The “Vacuum” which is modeled as a “Aether Gas” whose constituents are the “Aetherons” must be re-interpreted; based on 21st Century Physics. One of the main misunderstandings is that we now live in the 21st Century, and we understand a lot more; so based on the classical interpretation of the vacuum, we now have to discuss two (2) different types of vacuums. A “Baryonic Vacuum” is a volume of space that is filled with atomic matter such as atoms, electrons, protons, and neutrons. Image we create an experiment where we build a “rectangular box” that can be sealed, and set this box in a room where we can turn on and off the lights in this room. Now returning to our “rectangular box” inside the box we insert a “flashlight” that we can turn on and off, and a “bell” that we can ring on and off. The next condition is that we are external observers to the “rectangular box” and its contents, such that while standing in the room and viewing the box as an external observer, if the “flashlight” is turned on we can see the light; and if the “bell” is rung or turned on, we can hear the bell when it rings, while standing outside of the box and in the room. The next condition is that we design the electronics of the “rectangular box” so that when the box is sealed, we can install a vacuum pump that will allow us to vacuum pump the “Baryonic Matter: air molecules, electrons, protons, and neutrons” out of the box. The second set of electronics provides us with a set of switches, that allow us to turn on and off the “flashlight”, and to turn on and off the “bell” without opening the box. Ok, now that our experiment is set up, we are ready to do the experiment. (1) Turn off the light in the room. (2) Turn “off” the vacuum pump. (3) let the “Baryonic Matter: air molecules, electrons, protons, and neutrons” remain in the box. (4) Turn “on” the flashlight; we see the light. (5) Turn “on” the bell, we hear the bell ringing. (1) Turn off the light in the room. (2) Turn “on” the vacuum pump. (3) remove the “Baryonic Matter: air molecules, electrons, protons, and neutrons” from the box; this is a vacuum state. (4) Turn “on” the flashlight; we see the light. (5) Turn “on” the bell, we “do not” hear the bell ringing. Since the air molecules have been pumped out of the box we “do not” hear the bell because sound waves need “air molecules” to vibrate to produce sound. Since the air molecules have been “removed” or reduced to a very, very rare minimum number, the sound waves can’t propagate because there aren’t any molecules to vibrate in sufficient number. Remember the bell is still operating properly we just can’t hear it because there is nothing to wave! However, we can still see the “flash light” shining brightly, but can’t hear the bell ringing; Why?? Here is where our second (2nd) type of vacuum the “Non-Baryonic Vacuum” must be discussed. The second (2nd) type of vacuum which is modeled as a “Aether Gas” whose constituents, the “Non-Baryonic Vacuum” is the one that we are the most unfamiliar with. The “Non-Baryonic Vacuum” is a vacuum that is seething with a form of energy known as the Aether. A “Non-Baryonic Vacuum” is a volume of space that is filled with Aether or “Non-Baryonic” matter such as photons, Bosons, Aetherons, Dark-Matter, and Dark Energy. This “Non-Baryonic Vacuum” is host to spontaneous emission of photon-photon pair production and matter-antimatter pair production. I hope this brings enlightenment to your current understanding of the Vacuum Energy in the 21st century!